Who isn’t fascinated by a great card trick? Every person has the inclination to want to believe in “magic”. Playing with cards is a fun time to be shared and had by all. You can do a lot of the things with a plain deck of playing cards. If you know the tricks of the trade you can draw and crowd and captivate them with your skills. 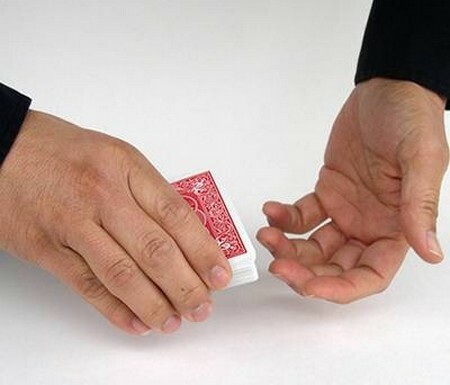 Some cards tricks are not basic and may be harder to master than others. Here is how you can learn to do card tricks. Practice indeed makes perfect. Read on for more information below. Ask for a volunteer, or choose a person from the audience to pick a card. Ask the person to memorize the card. Look at it carefully. While the person is studying the card, turn the last card in the card deck over. Now, turn the deck of cards over so now the card you saw is on the very top. It should be downward facing. Tell the person from the crowd to put the card they have back into you magic deck of playing cards. Place the deck behind your back. Address the audience. Indicate that you will now find the member’s card. Flip the surface card over when behind your back. Now, hand the deck to the person from the audience. Ask the person to search in the deck. The card will be facing upwards in the deck. You turned this one over yourself. Mix the deck of playing cards up several times. Take a peek at the last card and remember it. Drop the playing cards starting with the last of the card deck slowly. Ask a person from the crowd to yell when they guess that you have released ten cards. Make sure you keep an accurate track of the number of cards you actually drop. Put the playing cards in a pile. The last card should end by being on the deck top. This really has nothing to do with the number of cards you drop. Show a crowd member the very first card on the top of the deck without peeking at it. Ask the person to remember what it is. Have the person mix the deck and return it to you. Fan the playing cards out. Reveal to the person the card they chose. It is the card you had to remember at the first step. Secrets are top priority to any magician. No matter how tempted, never tell anyone your secrets. Guard them with your magic stick. How to Construct a Genogram?